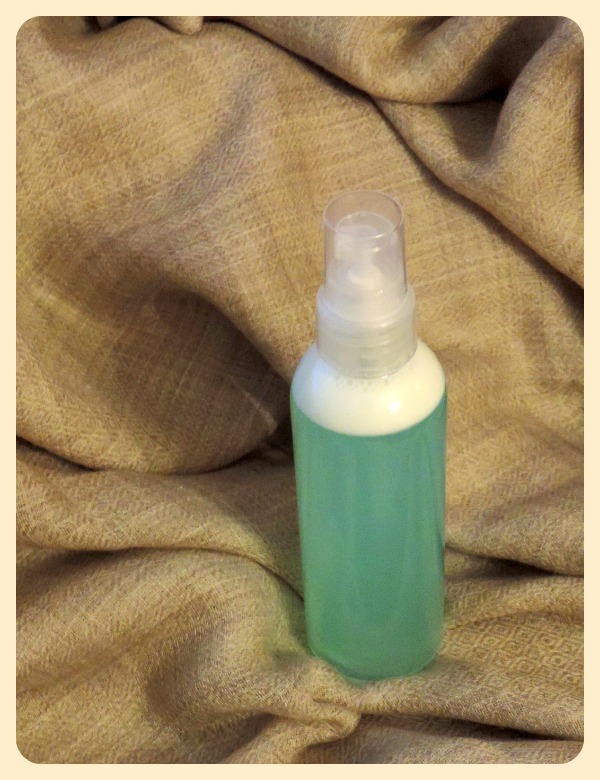 This is my Christmas gift: a very simple recipe for a Two Phase Leave-in Hair Conditioner! You need just one prince ingredient: Cetrimonium Chloride! As you know this is a cationic surfactant with very high conditioning properties. This Hair Conditioner is formulated for my hair-type: long and very thin, they tangle easily and they grease easily (so I added close to no grease to not make my hair get heavy). Hydrolized Milk Protein 2 (you can omit this or you can use any other kind of hydrolyzed protein. Just bear in mind that the more you add proteins the more your hair will feel strong and “hard”, therefore do not add too much). Cetrimonium Chloride 4 (this is a very high amount but the thing is that this is a liquid hair conditioner and it needs to be sprayed on the hair. With spraying usually we use a very small amount of product so I have found this percentage of Cetrimonium C. to be just fine for me). If you have very thick and undisciplined hair you can add 2% Inulin in the Phase A. If it doesn’t melt immediately you can warm up the Phase A very briefly. I would also omit the proteins because probably they would make your hair feel too stiff (and I don’t think you need them much 😉 lucky you! 😀 ), you could also add more oily phase, however I wouldn’t go over 5% of fats in a hair conditioner. 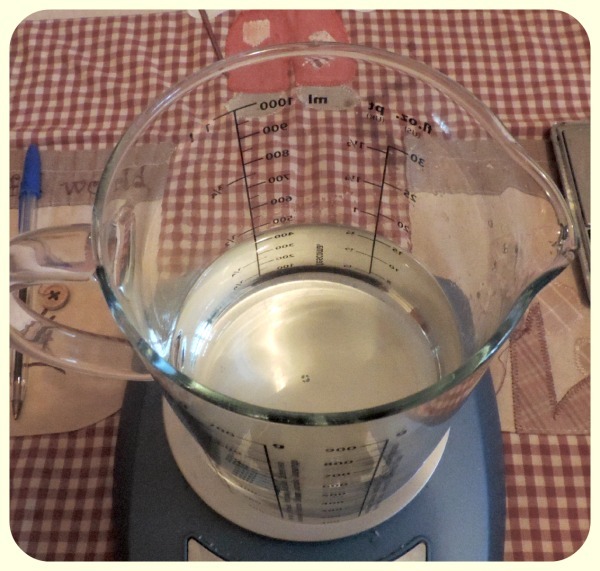 If you like making things more complicated you could even gel the Phase A with 0.15% of Guar Hydroxypropyltrimonium Chloride (the water needs to be heated up to 70°C first… so first gel the water, then let it cool down and continue with the recipe as normal). The original recipe (without modifications) is made “cold” so there will be no need of heating anything at all and it doesn’t even take more than 5 minutes. 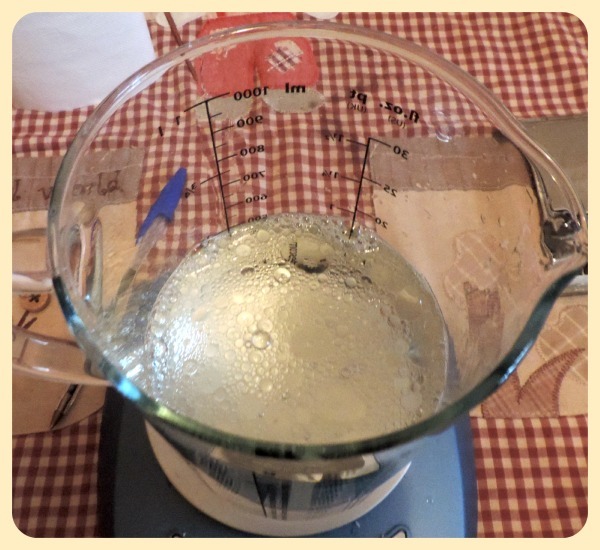 The result is a very liquid, spay-able hair conditioner, which needs to be shaken before use (but if I can I will add a video of how cool it looks when you shake it 😀 because it looks almost magical). Yes: the Cetrimonium Chloride is a surfactant (cationic, precisely) and therefore it could “emulsify” a very small amount of oil… however we haven’t added in this recipe anything which could help stabilize the emulsion (I haven’t added any gelling agent nor a thickener… exactly because I want it to be liquid and I want to be able to spray it on my hair)… Therefore our emulsion won’t be stable and will separate after some time. What is cool, though, is that the presence of this Cetrimonium C. will actually make it easy to mix water and oil once we shake the bottle! As you can see after mixing with an immersion mixer the solution is white, but once it will sit calmly for a while it will separate in two phases again. my budget is low and i cant afford experimenting so if could kindly let me know if this is correct or not ? Alia, all those proteins are not really doin what you added in the brackets, all they do, at such a high total amount, is making your hair lotion impossible to preserve. Ps. 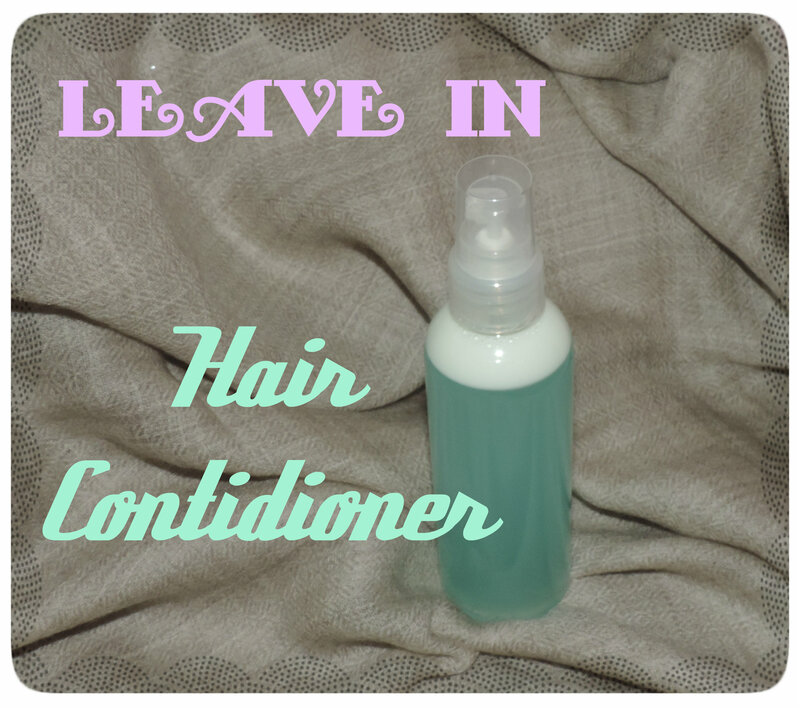 A leave in conditioner can condition only if you use a conditioning agent. A conditionin agent would be BTMS, but there are others as well. A leave in needs conditioning agents that can be left on the hair. Any leave in will make your hair a little heavy (perfect if you want that). 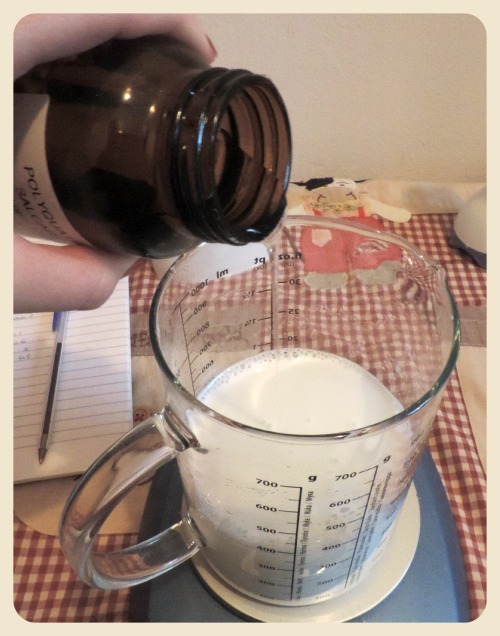 What you have thought of making is simply a very sticky cream with no conditioning properties, so imagine applying a body cream on your hair and saying it is a leave in hair conditioner…. it won’t really make it a hair conditioner, right? This said: I have written and explained how to make a REAL hair conditoner, you are free to not follow my guidelines but please don’t ask me to “correct” formulas that ignore what I have explained because I am just going to repeat myself. i use a hair cream/lotion as a leave in product to condition my hair ? so what should i do to make the consistency correct? how many proteins can i add in it? A cream that conditions your hair needs to have an emulsifier which is a conditioning agent otherwise it is not going to condition your hair: any hair mask/conditioner is made with conditioning agents, not just any emulsifier. If you use any emulsifier you will get a cream that is not conditioning. It will be like applying on your hair a normal body lotion. You are using “conditioning” in the wrong manner. A simple lotion is moisturizing, a hair conditioner is conditionin because it contains a conditioning agent. can i make this leave in conditioner with only rice quat as the conditioning agent? and how much should i use for fine limp hair? I have never used it (it is not sold here) so I have no clue, experiment! I have made a quick search for formulas made by others and found just one using it at 3% combined with 5% dipalmitolyethyl hydroxyethylmonium methosulfate, so I guess on its own it is not enough. So is this like a conditioning hair spray? And if I didn’t want 2 phases would I have to add a solubiliser – like polysorbate 80? Back in the day when I braided my hair I had to use a hair and scalp spray to stop my scalp getting dry. The ingredients for that spray were: Water, Glycerin, Quat 75, Dimethicone, Methylparaben, PEG 75 Lanolin, Quat 75 (again), PEG 40 hydrogenated castor oil, Wheat Gluten, Urea and the list goes on for a while – but I think there is nothing good in it. It would be nice to have a spray that hydrates / moisturises my scalp. I have to say this leave in didn’t work great for me on the long run! I used to have very long hair at the time and it wasn’t enough for me (I have thin brittle hair). I noticed that you dont use BTMS in your reciepes for conditioners, any reason for that? Thanks for this recipe. I am going to try your banana smoothie conditioner this weekend. I have a question about this leave in recipe. I have dry, curly processed hair and prefer to use a leave in that is thicker, in a pump bottle that I can scrunch into my hair. Would do you think about me adding 4% BTMS to this formula? No I don’t think this leave in formula is good enough for curly processed hair. Do the banana smoothie and use that as a leave in, not this two-phase.